Back to the “Apdex” part of all this. As I hit the New Relic page, and scrolled, that term jumped out at me. I thought, “huh, ‘Apdex’, I’m not sure I know what that is…”, so, down another rabbit hole, I went. Turns out it is short for Application Performance Index. It’s this sort of beautiful little formula and metric at its core. Frankly, in the first 10 seconds of looking into it, was reflecting just how rare it is to see something this simple. Clearly, this isn’t going to be super illuminating in-depth information with lot s of details all on its own. Consider this though: Survey 100 people and most of them would give you an answer to “how satisfied are you”. Intuitively, I wanted there to be more to this equation when I first saw it, but it grew on me. This detail over 100 visits an hour would be very illuminating. Especially over time or as new changes were made to the site. And perhaps comparing from page to page, you’d find a clear dip on a page or two. Alright, at this point you probably either agree with me, or you don’t. Or you just don’t really care. Hey! We can take that Apdex! Let’s say 5 people agree, 3 people don’t, and 8 readers got this far but are kinda bored. Hmm, not a great score… I’ll have to add some memes next time. Like many in and around the infosec community, I’ve followed privacy issues as they relate to security for a while. When I first heard about protonmail, I believe it was in the wake of the Snowden revelations. Now, let me be clear, my primary email address is a Gmail account, I also have a grandfathered in Gsuit account for another domain, but I needed to set up SMTP for beaukinstler.com, even if just to redirect it. Nowadays, the choice for free personal domain email seems rather limited. I could use the IPS’s offering and pay, or I could switch registrars and maybe get some free email service, and there’s Zoho (which I tried, but didn’t get their confirmation text for about an hour, which didn’t bode well). So ultimately, I decided to accomplish two things with my need. I decided to upgrade my protonmail account to a paid version, and add my domain (beaukinstler.com) for email use, which was pretty simple. Because of this, I now support an organization with some dollars that are doing great work for securing information. If you too are interested in really secure email, both in transit and at rest, then check them out. 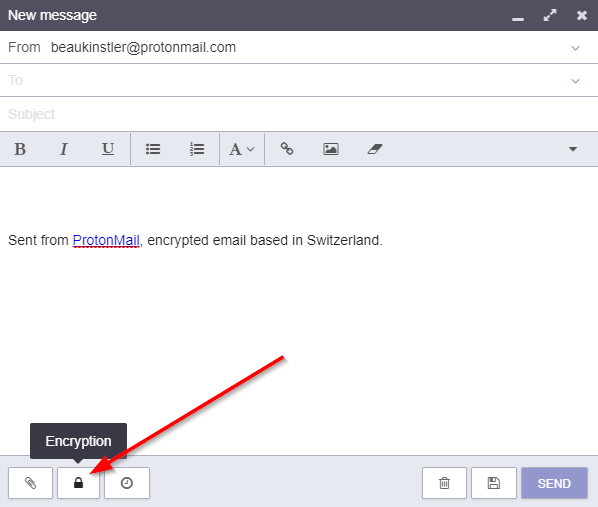 ProtonMail.com or ProtonMail.ch (Swiss). One other point. I think people often give up on email as a secure form of communication, especially when it’s not B2B because they just can’t really rely on how others have their email setup. PGP, S-MIME, etc isn’t easy. I’ve set it up, but never use it. 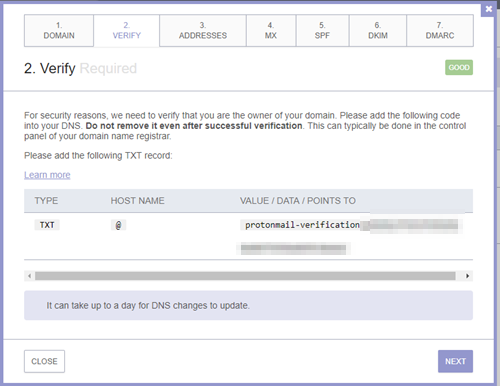 But with ProtonMail, you can send emails to others that DON’T have a secure account, and give them a password out-of-band. They can even email you back via that message. And, if you know the recipient of your email needs a file or a message that would be bad for others to see, but they’re for any reason unable to set up a secure system for themselves, this is something you could use to help them. So it’s really slick. Create a password, and if you like a hint! For me? It could be. Honestly, I have hardly needed this level of privacy ever, but I’m lucky. I live in a place and have a life that I’m not required to be secret about. If I NEED it, it usually for some tax records, or something mundane. But there are people who need this level of protection, along with things like Tor, and I’m happy that my need for SMTP services, can help support them.